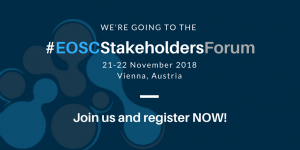 The EOSCpilot project’s second and final EOSC Stakeholders Forum will be held on 21-22 November 2018 at the Austria Center Vienna. 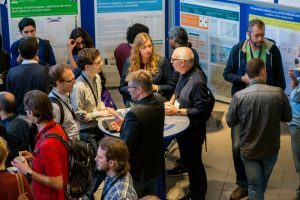 Registration is now OPEN with a deadline on 14 November 2018, 12PM CEST. You can find more information on the EOSC pilot website and at the website of DANS.